Most of us have the same approach to financial planning as we do to dentistry – we expect bad news, we postpone and avoid treatment, we don’t do enough to prevent ugly visits, and we dread the payments. We brace for pain. Ouch! How bad are we at putting our finances in order? According to iQuantifi.com, 75% of the US population doesn’t save enough to cover six months of expenses and less than 10% of Americans preparing for retirement will have sufficient funds to maintain their lifestyle when they stop working. Ouch! and Ouch! and What’s going on? Clearly we need help. Creating a budget is a good place to begin, but not enough to establish long-term financial stability or escape debt. Investing? If picking winning stock – or having the money to try in the first place – were that easy, everybody would have hit a winner by now and secured a rosy financial future. No, we need broad, immediate, and reliable assistance. We need all the advice that we can get and afford – the kind of help that iQuantifi aims to deliver by serving as a virtual financial advisor. This platform offers comprehensive solutions for taking control of finances and achieving personal goals. A proprietary algorithm generates financial advice factoring in each individual’s financial information. 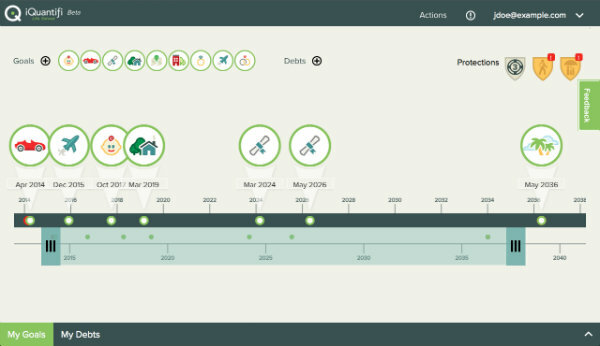 iQuantify puts together a workable timeline for reaching financial goals based on priorities and resources. With a student loan crisis hovering over our heads, the ghosts of recent collapses still haunting us, and job markets dogging us, the need for financial assistance will only continue to increase. iQuantify understands that people look online for answers, and so supplies a secure and dependable tool for those concerned about their financial well-being. More importantly perhaps, the technology covers a range of services that would otherwise prove unaffordable to many. From planning to budgeting to personal investment strategies, and having real-time advice, iQauntifi steps up to the plate – and makes adjustments to match life changes such as getting married or looking to buy a house. Remember IBM’s Watson outdoing the humans on Jeopardy!? Well, iQuantifi is like having a financial version of Watson at your disposal to tackle all your tough financial questions. Access to the platform runs $9.95 a month. 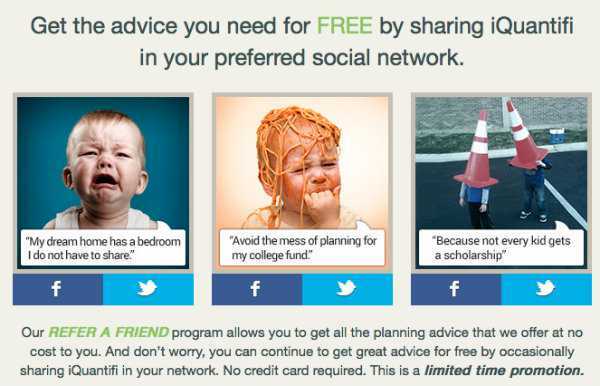 For a limited time, it’s possible to take advantage of iQuantifi at no cost by referring a friend on Facebook. Check here for more details. There’s really no good excuse for not doing a better job at managing our personal finances. We love Netflix, but honestly, if we can afford monthly access to unlimited movies we should have no reason to skimp when it comes to controlling our finances. 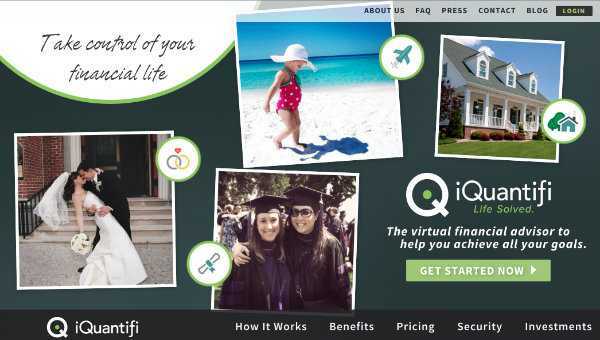 Sign up for the app at iQuantifi.com and learn more by following the company on Facebook and Twitter.